Our School Garden! 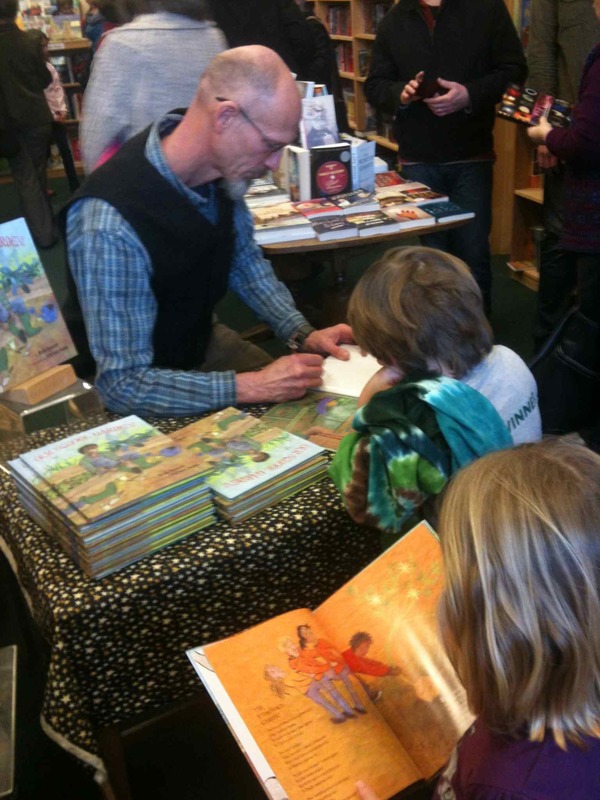 had its launch Saturday at Santoro’s Books. The turn out was amazing and it was fun knowing most of the people who showed up, many from the Bagley School community. Carol Santoro’s husband supplied some killer carrot, raisin, oatmeal cookies. I even had a surprise visitor, Mark Reddish, who I went to elementary school with back in Massachusetts! Thanks everyone! Signing Our School Garden! at Santoro's Books.